Made from organic strawberries and fairly traded organic sugar from Otisa Sugar Mill in Paraguay. Perfect on toast, delicious in yoghurt, a treat on a scone. Certified by the Soil Association. Suitable for vegetarians & vegans. About the Supplier: Salvador Delgadillo Rotela is one of the earliest farming members of this co-op, and currently the president. Salvador and his family have farmed in this area for as long as he can remember, and he still lives in what was his grandfather's home. He has 4.5 hectares of land and has hired a further half-hectare to grow sugar cane. The organic sugar used comes from the Otisa Sugar Mill, in Arroyos y Esteros, Paraguay, and the fair trade premium is shared by the approximately 80 local farmers who make up three of the co-ops supplying the sugar cane to the mill. "It's back-breaking work so some of the premium is being used to buy one hectare of land on which they plan to build a mechanical 'crane' to load the bundles onto the trucks. It will also provide a meeting point for farmers with their crop. Farmers will make a small payment to use of these facilities but they will be available to everyone in the area - not just the co-op members." Organic Sugar, Organic Strawberries, Gelling Agent: Pectin, Acidity Regulator: Citric Acid. Prepared with 40g of fruit per 100g. Once opened, store in a refrigerator and consume within 6 weeks. 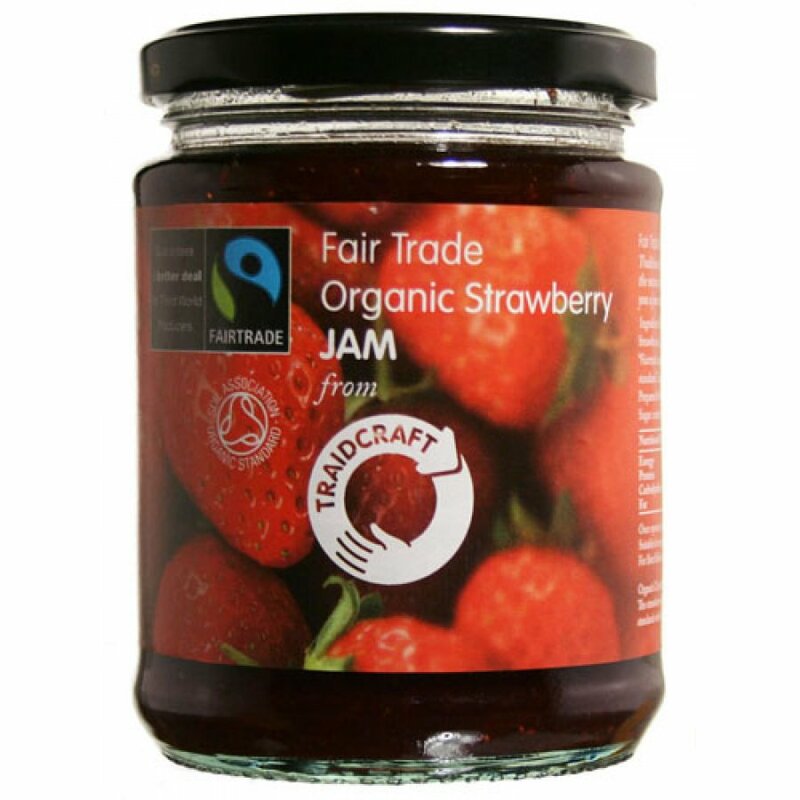 The Organic Strawberry Jam 340 g product ethics are indicated below. To learn more about these product ethics and to see related products, follow the links below. 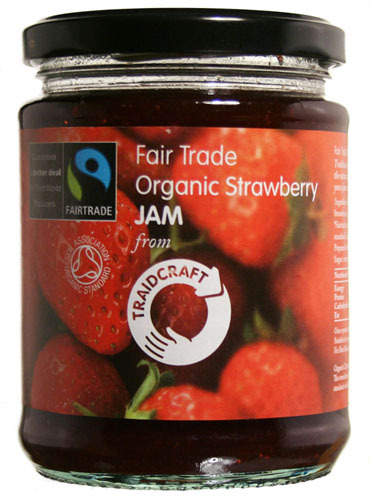 There are currently no questions to display about Organic Strawberry Jam 340 g.